I worked with this fellow at Sun Labs. He was utterly brilliant, in a mad scientist kind of way. Turns out he got his bachelor’s in chemical engineering, with a minor in music; he was a clarinet player. As we got to know each other, we became friends, and one day he asked me to teach his kids clarinet and saxophone. He said that they had fired the previous teachers, and he was hoping I would last longer. He also mentioned that he could not teach them; they did not get along when he was trying. After I left Sun, aside from the lessons of his kids, we kept in touch. One day he asked me if I could sub for the Woodside Village Band, a local amateur community group. I played bari sax one Sunday, and sat next to one of my friend’s friends, who was playing alto sax. My friend contacted me a couple of weeks later, and told me the alto player was the VP of Engineering at a startup, and had told my friend that they needed a manager to “reign in the software team”. I said, sure, I’ll talk to them. The company was Foveon (a few more details can be found here). I was asked to have breakfast at a place in Menlo Park called Late for the Train (don’t know what it’s called now; it was at Willow and Middlefield). There I met the alto sax player again, two other execs, and Carver Mead, a pioneer in electrical engineering, semiconductors, and physics. He worked with Richard Feynman. This was a Big Deal. Mead had invented a new photo optical sensor for digital photography, called the Foveon X3 Sensor, and founded Foveon to market products based on it. The first product was a camera system attached to a Mac laptop in a custom case. Photographers were supposed to lug this thing, set it up on a tripod, and take pictures from there. Yum! This picture is on the Foveon website. The sensor is wonderful, but this system was hokey. 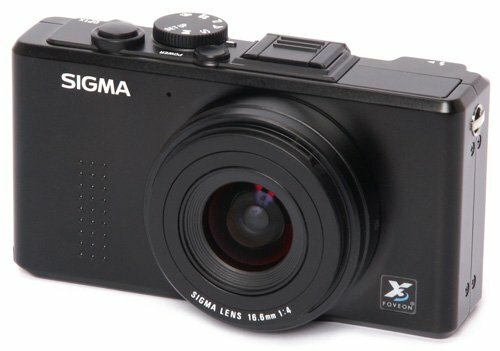 However, small digital cameras had not really hit the market, and there were certainly no SLR’s. Or smartphones. I was being interviewed because the VP of Engineering understood hardware but not software, and there was a team writing the software than ran on these Macs with cameras bolted to them. They had no manager, and the VP was lost trying to get them on track. I went to their office in Sunnyvale. I was shown around. There were just flat-out amazing pictures. I saw incredible images of a segura cactus, El Capitan from Yosemite National Park, and Mono Lake. These were 5-6 ft tall with no apparent loss of resolution. I was then shown their studio, where they were taking pictures for brochures, advertisements, and as part of their QA effort. I was then led into a conference room where all 3 engineers took turns grilling me about what I did and did not know about Mac programming. They did not do any coding problems or thought puzzles. They just talked to me about what a manager actually did. I thought that the interview went fine, but the VP called me the next day, and told me that they weren’t going to hire me. I asked why. “What do you think?” I answered back. I talked with my friend. He told me that the hiring manager was weak and non-confrontational about everything. but he really couldn’t help what he had already done. They were eventually acquired by Sigma Corporation, in Japan. You can buy their Foveon-based cameras on Amazon. This one lists for $399. Not sure I believed in their business plan or product (a laptop with a big lens on it? ), but those photos were something else. Not sure where this is, but it’s sure pretty.